1. Start in low lunge pose with your right knee and the top of your right foot on the floor. 2. Lift the right foot, reach your right hand back to grab the ankle, and walk your left foot a few inches to the front. 3. Stay in low lunge quad stretch pose for 30 seconds and then switch leg positions. Keep the spine long, open the chest and face front. Engage your core for stability and walk your left foot to the front until you feel the stretch in your quads. The low lunge quad stretch pose stretches the quads, groin, hip flexors and glutes, and strengthens the knees. This pose also helps to improve balance and concentration, and alleviates lower back pain. 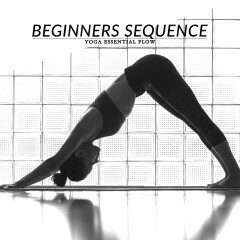 Start in high lunge or low lunge pose and then progress to low lunge quad stretch pose. Follow-up with warrior I or warrior III poses.